Storing images in JPEG format has its advantages: it saves space on the memory card and allows you to edit the end file. Nevertheless, professional usually prefer the TIFF format which stores graphical information without any loss of quality. In contrast to the JPEG, this format doesn’t overly use data compression, although, as will be demonstrated later, a certain level of interpolation does exist even with TIFF. The Achilles heel of both formats is that they fail to fully store all of the original graphical information received by the digital camera. In contrast to the JPEG or TIFF, the RAW format is not a rigid standard. It provides the photographer with an initial set of data recorded by the camera’s sensor and allows him/her to work with images of a higher quality than those of compressed JPEG or TIFF formats. It’s therefore no surprise that those using RAW consider themselves masters of digital photography. How is RAW used in practice? What you need to know about RAW to begin with is that it is not a graphical standard per se. The term RAW encompasses a variety of formats developed by digital camera manufacturers. In order to achieve even some kind of uniformity Adobe produced the new Digital Negative format. However, we’ll return to this a little later. 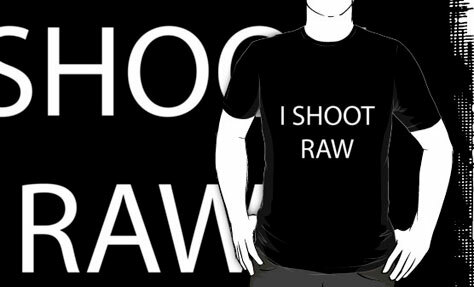 So, what actually is RAW? Any RAW-file, like Canon (CR2), Nikon (NEF) or Fujifilm (RAF) contains raw graphical information captured by the camera’s sensor. Therefore, when taking photographs in RAW you save the original version of the image. In contrast, with JPEG or TIFF formats some graphical data loss from the original image is unfortunately inevitable. A file that contains the full set of graphical data from the camera is equivalent to a film negative. Therefore, many companies, including Adobe, refer to RAW-files as digital negatives. No matter how much you modify and convert such files into different formats, you always have the option of returning to the original untouched image. A detailed description of the elements that make up a finished RAW-file could take up several pages. Therefore, we won’t delve into the technical details and specific terminology here. Taking photographs in the RAW format gives the photographer many advantages. We already know that with the help of digital negatives it’s possible to save the original image along with edited versions of it. This format allows you to modify and edit photographs with a lot more freedom. As an example, we can take a characteristic like sharpness. Today, many cameras provide the option of choosing a particular level of definition right before taking a picture. If you make a mistake with a JPEG or TIFF image it can be irreversibly spoilt. But, RAW-files allow you to alter sharpness settings quickly and easily. However, the most important point is that RAW-format images are of better quality than their JPEG equivalents. There’s a simple reason for this: the image sensors of cameras perceive colour depth at 12 or 14 bit, but a JPEG is limited to just 8 bit for every pixel channel. Therefore, during compression an irreversible loss of graphical data takes place. With the TIFF format it’s possible to get a 24-bit image. However, at the same time, data from the camera’s sensor is interpolated and separated into three 8-bit channels (red, green, and blue). RAW-files have a single 12- or 14-bit channel and store graphical information without compression or over-sampling. Taking photographs in RAW format provides the photographer with a versatile resource. Software for working with RAW-files allows photographers to change images in all kinds of ways that would usually be impossible after the initial shoot. In other words, you have the option of altering the exposure, sharpness, white balance, and can even compensate for lens defects (e.g. chromatic abberations). This in turn allows you to achieve maximum image quality and recover photographs that could have otherwise been irrevocably lost had they been in JPEG or TIFF format. However, even when using RAW photographers still have to strive to produce their best pictures. Technology cannot replace talent and experience. At one stage Adobe worked on problems to do with the RAW-format and released a plug-in called Camera RAW for Photoshop that gave the option of editing RAW-files from the most popular high-end cameras. In time they included it in Photoshop CS and Photoshop Elements. But, the most valuable Adobe investment in the standardization of RAW has been the new Digital Negative (DNG) graphical format. Now, with the help of Adobe DNG Converter it’s possible to convert practically any type of RAW-file into a digital negative.